Sammie Rackley picks construction paper for a paper project. 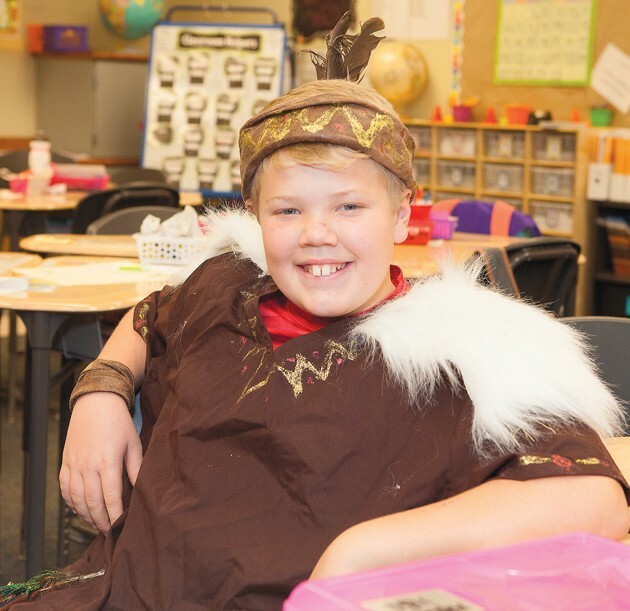 Max Critchlow wears a Native American costume to take a step back in history and learn about the food, culture and daily life in early America. Lexi Williams tries writing with a quill pen. 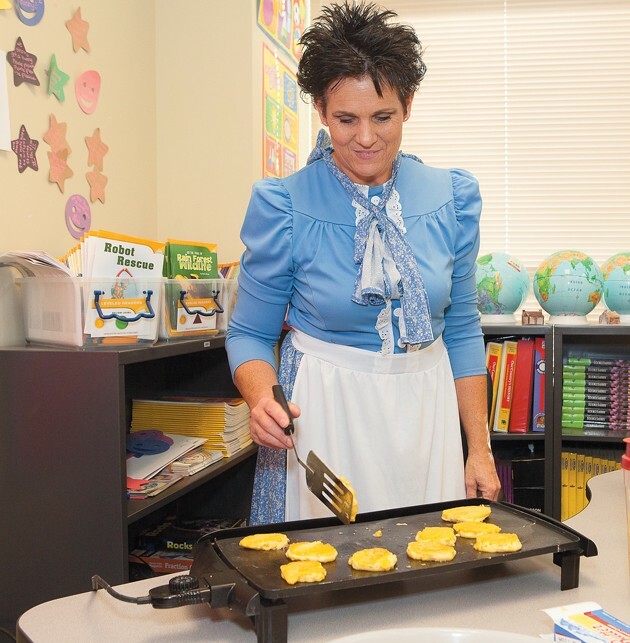 Angie Allen grills up some Johnny Cakes during Colonial Day for Grantsville Elementary fifth-grade students. The students made their own butter to go with the cakes. James Talbot works to complete a class art project. 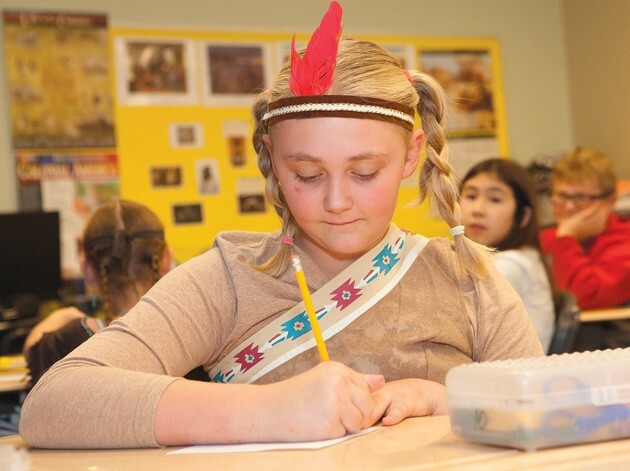 Brooke Fields listens to her teacher and fills out a worksheet in class as she learns about life in colonial times. 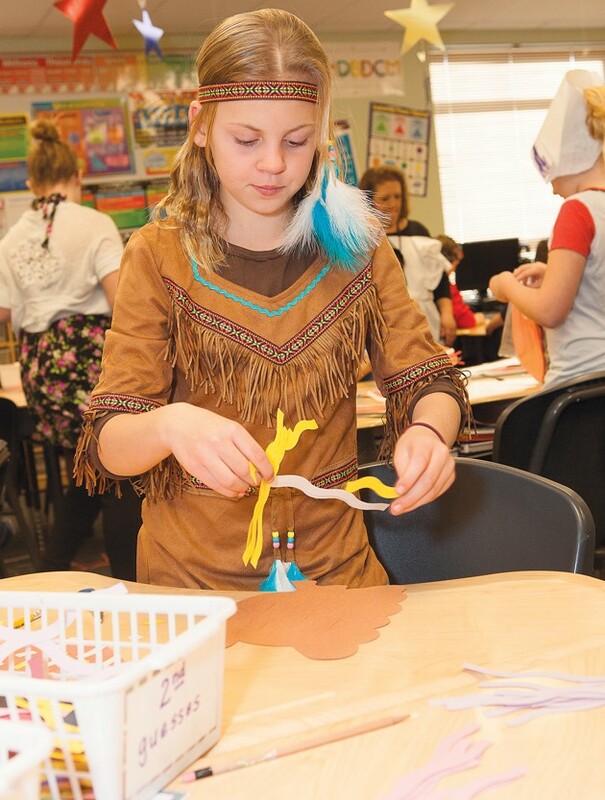 Fifth-grade students at Grantsville Elementary learned about life in colonial times on Colonial Day on Tuesday. 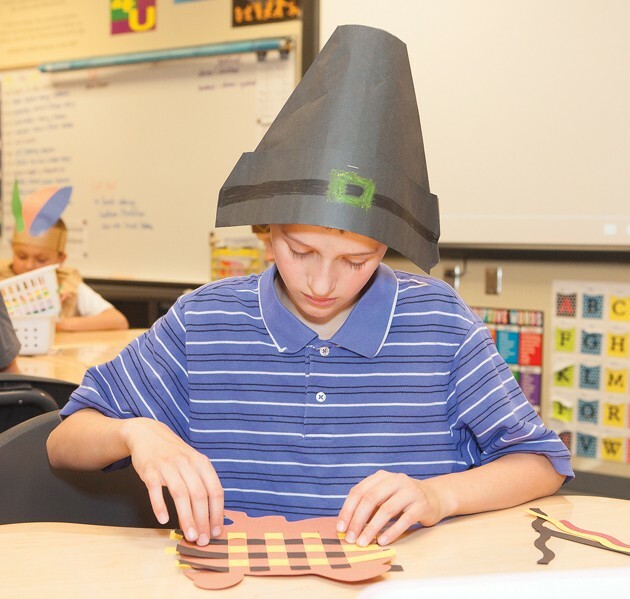 Students wore costumes inspired by the fashion, style and function of the day. 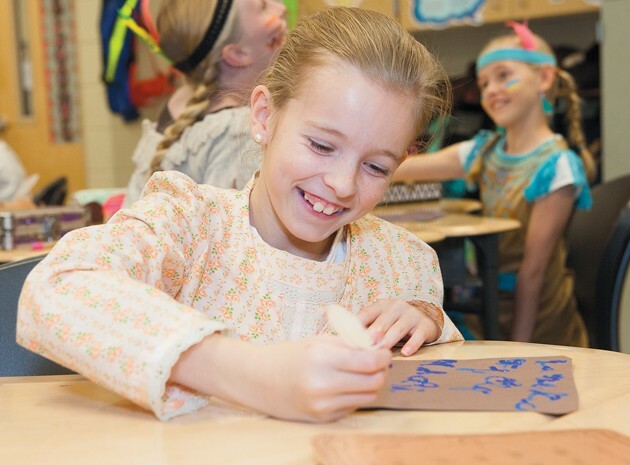 In the morning they had history lessons, and in the afternoon the students took part in hands-on crafts, quill writing and churning butter out of cream.